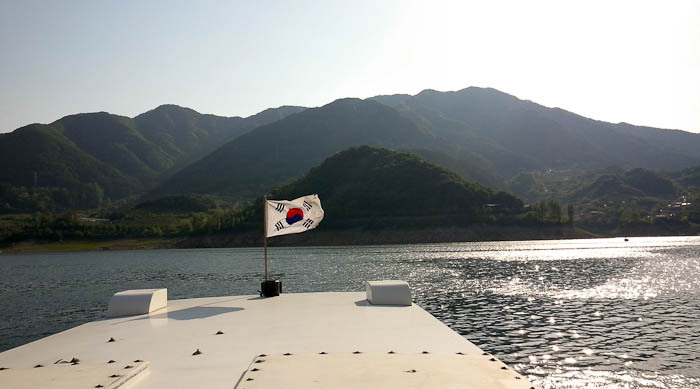 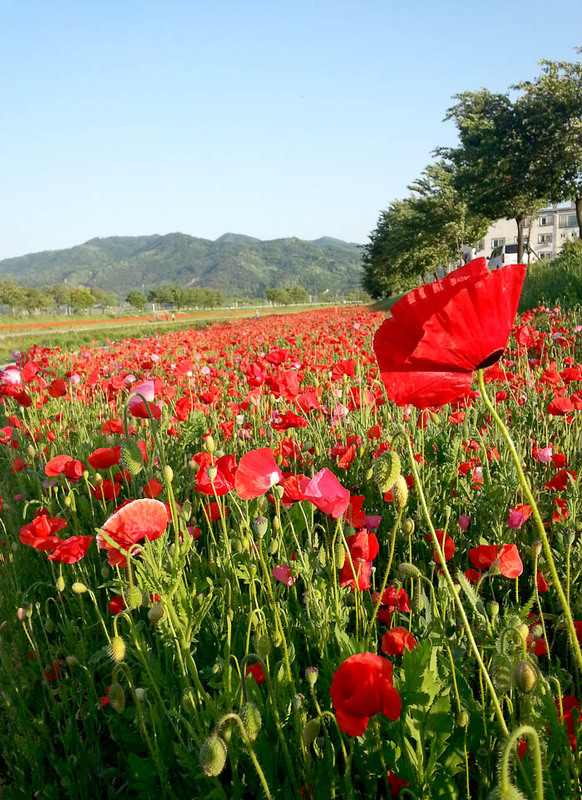 Poppies are everywhere in Eumseong! 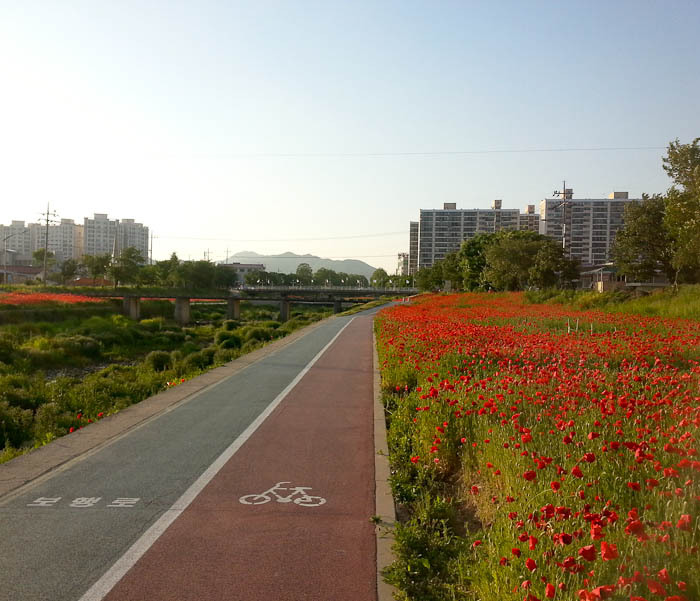 The trail that runs through Eumseong. 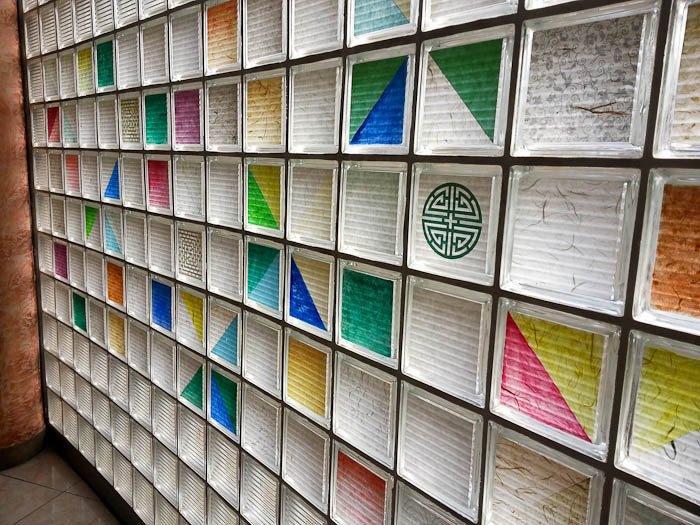 A beautiful wall at a restaurant in Jeonju, a city known for bibimbap and paper crafts. 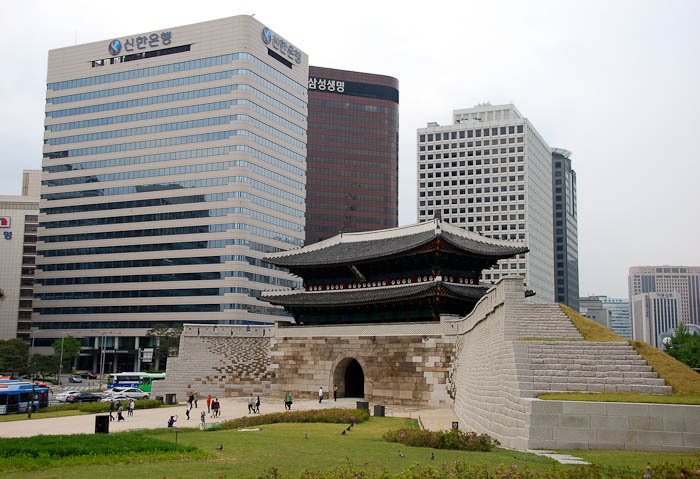 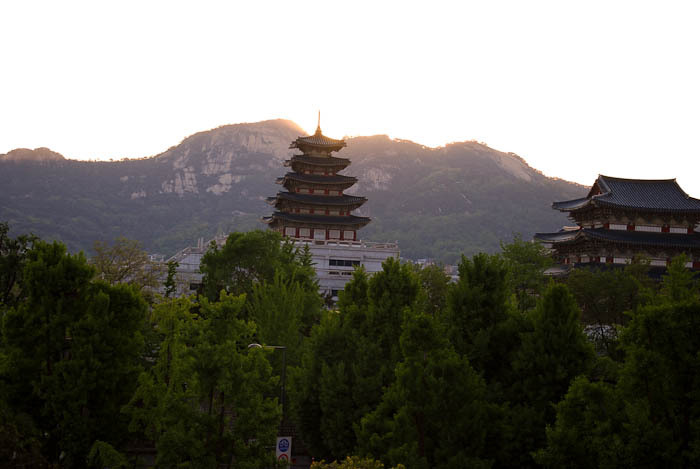 View of Gyeongbok Palace from a coffee shop in Bukchon Hanok Village which is located in Seoul. 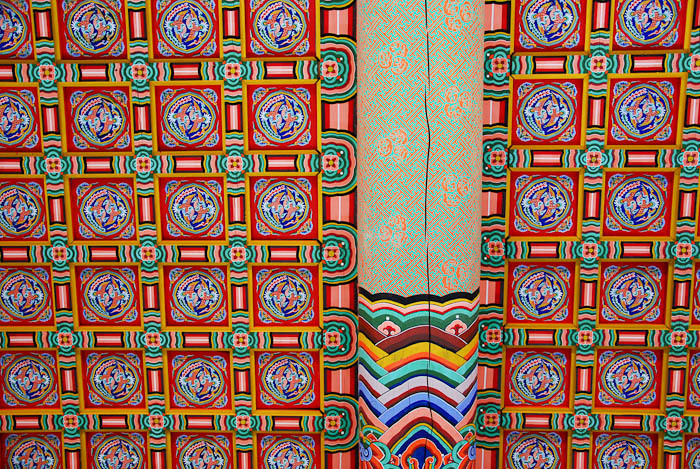 Ceiling at Gyeongbok Palace in Seoul. 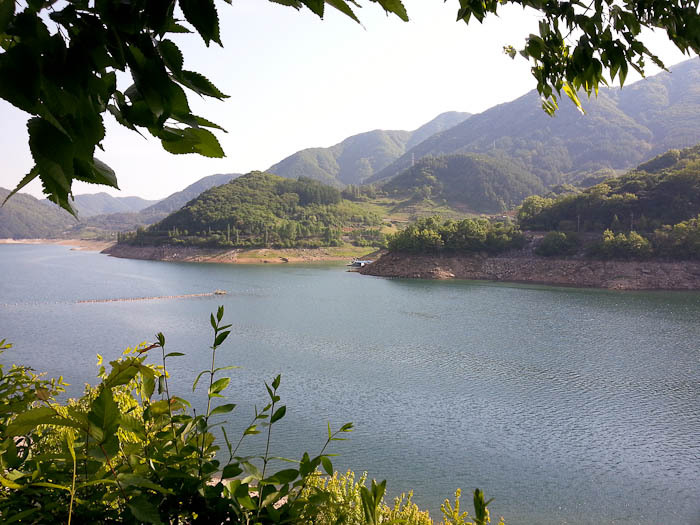 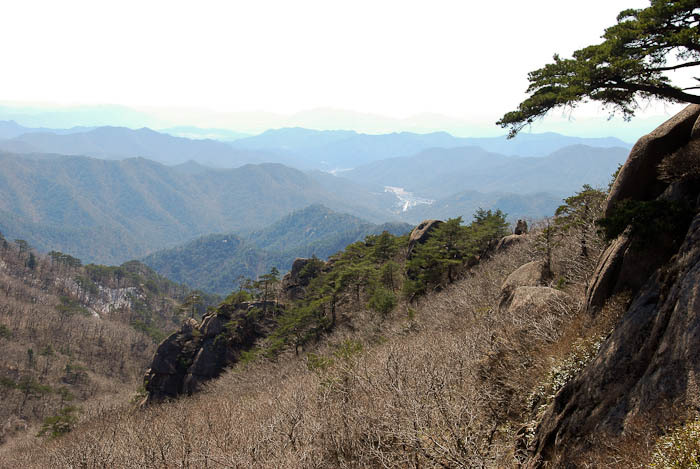 View from Munjangdae in Songnisan National Park in April. 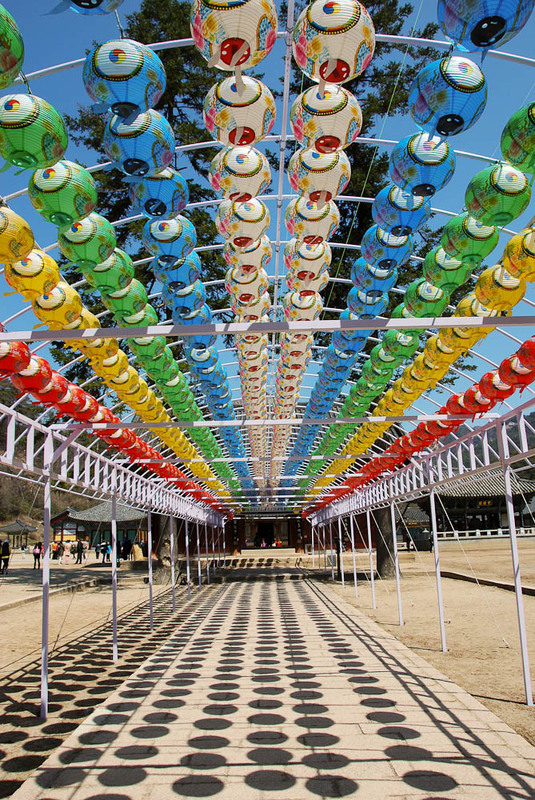 Lanterns at Beopjusa, a temple in Songnisan National Park. 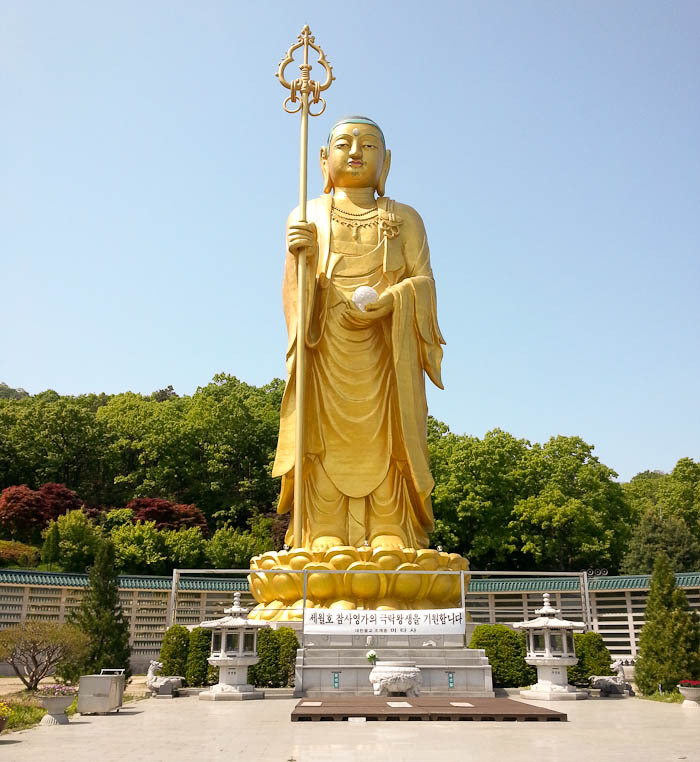 This giant Buddha is in the middle of nowhere about 15 minutes from where I live. 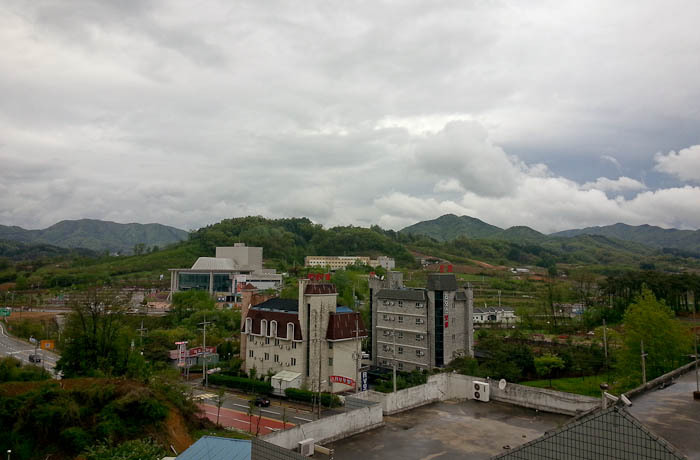 View from my apartment in Eumseong. 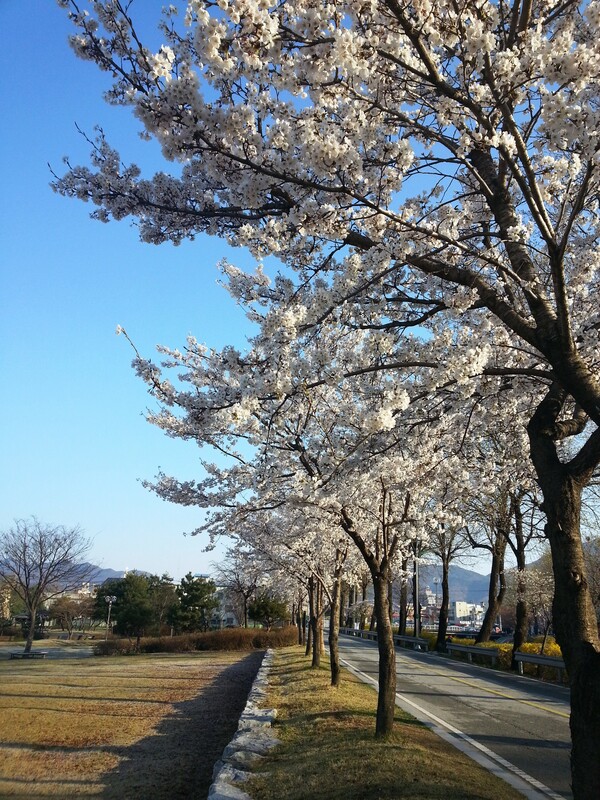 April Cherry blossoms in Eumseong.